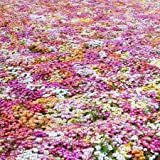 Ice plant seeds for sale – Easy plant to grow, grown for the ornamental flowers and for the leaves, planting in spring to autumn, better to buy plant or another option to start from seeds yet more challenging. 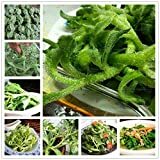 Growing information: perennial or annual plant, growing hardiness zone: 2+, water needed – small to average amount, light conditions – full sun to partial shade, height: 20-50 cm (8-20 inches). in white, red, orange, yellow, pink, green, purple or orange color. 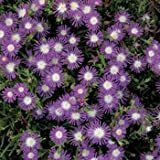 Ice plant seeds for sale – What need to know before buy seeds of ice plant? 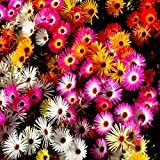 Is it recommended to grow Ice plant from seeds? 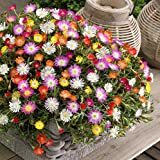 Ice plant seeds for sale – need to know that flower colors can be: pink, yellow, red, orange or purple, leaves mostly green but can be red and the leaves edible, invasive, plant very strong, need full sun, fast growing, need small amount of water, can grow in the desert and on the beach. 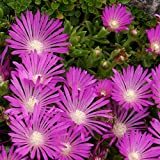 It is easy to grow Ice plant from seeds but easier to grow from leaves cutting.